It is our intention to offer for sale on this site, exceptional items for your own collection, or for that exquisite gift. **Postage and packing extra, dependent on destination. Revered by the Egyptians, the SCARAB was associated with their god, Khepri, who pushed the Sun across the sky until it disappeared each night, to reappear the following day. 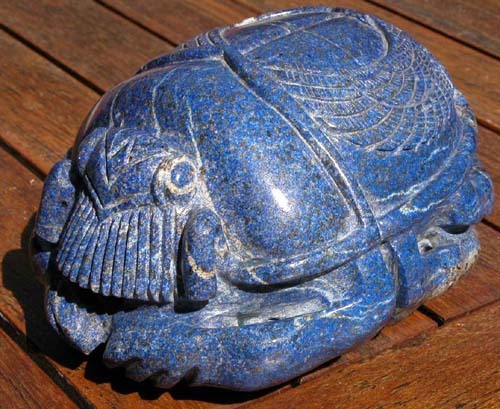 The SCARAB Beetle thus became the symbol of rebirth.